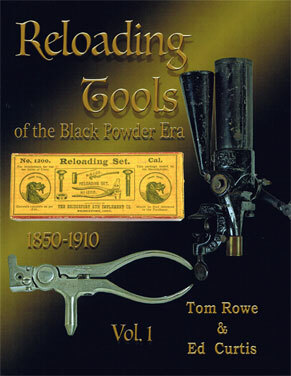 There has been a need for a thorough study of the various loading tools of the black powder and early smokeless era. This unique reference covers most of what a collector will encounter. It contains the tools made by Ideal, Bridgeport Gun Implement, Union Metallic Cartridge, Ballard & Marlin, Mass. Arms Co. (Maynard), J. Stevens Arms & Tool, Providence Tool Co. Excellent quality! This book will be a first source reference for a long time to come! A must! 314p.